The Education Act, 2002 allows the Minister of Education to provide distance education courses and charge fees for students to access those courses. Distance education is defined as a program of study or course taken by a student where the content and resources are sent to the student to work through independently of a school. While Yukon Education is supportive of territorial-based online and blended learning programs, the Department is still engaged in several memorandums of understanding with distance learning providers in other jurisdictions. In these instances, these memorandums provide an additional layer of regulation for schools to follow. For the most part, distance education is funded in the same manner as brick-and-mortar education. However, parents may be eligible for reimbursement of essential school resources related to distance education and/or online learning as determined by the Deputy Minister. Aurora Virtual School is the only online school in the territory. As a public school, it reports all aspects directly to the Department of Education the same as any traditional school. During the 2017-18 school year, Aurora Virtual School enrolled 87 students in one or more of the 35 online courses it offered. In addition, the Yukon still accesses programming from four distance learning schools in British Columbia for either in single courses or for full-time studies. During the 2017-18 school year, these four schools delivered courses to 49 students. Yukon Education defines blended learning as a formal education program in which a student learns in part through digitally managed content, instruction and feedback and in part through face-to-face group activities at a supervised physical location away from home and with some element(s) of student control over time, place, path and/or pace. The Department funds a learning management system (i.e., Moodle) and digital content, which is made available to each of the territory’s schools. The Department also funds a portion of a Curriculum Technology Consultant whose responsibilities are dedicated to supporting blended learning and the provision of various hardware, software, and other supports. Yukon Education uses the data from the Moodle learning management system to formally track the number of students who are enrolled in at least one blended learning course. During the 2017-18 school year there were 907 students from 18 of the territory’s 30 schools involved in K-12 blended learning. This figure represents 28% of Yukon’s grade 5-12 student population. K-12 distance education, or distributed learning as it is referred to in the territory, can be traced back to a pilot Grade 11 course in Information Technology by the Yukon Department of Education that was delivered to 12 students (10 of whom completed the course successfully). The pilot was continued for several subsequent years. By 1999-2000, students from the Yukon Territory participated in a national distributed learning project, The Hurley Island Project, which was developed and implemented by the Ontario Independent Learning Centre. The project saw 25 students from across the Canada in an online Grade 11 Information Technology course and Grade 12 Environmental Science course. Beginning in 2004, the Yukon maintained a territory-wide video conferencing program that allowed schools to take advantage of teaching specialists in neighboring community schools. This program operated until the 2012-13 school year when it was replaced by the establishment of the Aurora Virtual School in September 2013. That same year, the Yukon Territory embarked on a blended learning pilot project based at Watson Lake Secondary School. Both the Aurora Virtual School and the blended learning project are still in operation. In addition, the Government of the Yukon has entered into agreements with a variety of course content providers in British Columbia and Alberta. For example, since January 2001 Yukon students have been able to take advantage of courses offered through British Columbia’s Open School. 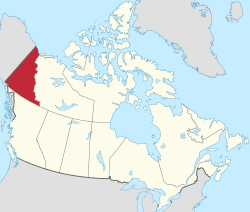 In fact, the Annual Report for the 2008-09 school year reported that the Yukon had agreements with eight distance education schools in British Columbia, Open School BC and the Alberta Distance Learning Centre (ADLC). The agreement with ADLC was to allow French students access to distributed learning through the Centre francophone d’éducation à distance (a French-language partner program of the ADLC). Students in the Yukon are able to take distance education courses from other jurisdictions. However, the territorial government will only fund those courses offered by authorized providers. Students who take courses from non-authorized providers can have the course evaluated for equivalent courses in the Yukon (i.e., British Columbia) program of study. If the academic requirements were met an equivalent credit would be assigned to the student. This process is the same one that is followed when a student transfers from another province or territory. Students from outside of the Yukon are not eligible to enroll in the territory’s video conferencing distance education program.